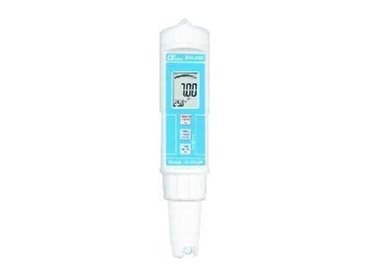 ECEFast have released the new PH222 immersible pocket style pH meter. The PH222 immersible pocket style pH meter is compact and rugged, with replaceable pH electrode, delivering accurate measurements of pH and temperature. The range is 0pH to 14.00pH and –5°C to 80.0°C and the immersible pocket style pH meter will store up to 100 sets of data for manual recall as well as maximum, minimum values with recall. The PH-222 comes complete with Buffer 4 and 7 solutions, and batteries. Calibration is automatic for calibration solutions of 7, 4 and 10 to 3 points. ATC is provided using the temperature output. The compact design allows one hand operation and a lanyard connection is standard. Lutron has perfected the PH-222 over many years of experience in the supply of portable pH meters, and it delivers high accuracy and convenience in a rugged package at low cost.